Perhaps looking to attract new iPhone owners in the aftermath of Christmas, Apple this week updated its "Close Your Rings" marketing page for the Apple Watch, featuring four more stories of how people use the Activity app. Looking back at Apple's November 2018, it looked like investors just weren't getting as into the Christmas spirit as Apple is with its new holiday ads. And maybe Apple is looking for cheer in all the wrong places as Microsoft supplants it as the most valuable company in the world. With the holiday season now over, many of us are walking away with a new Apple device, be it a new Apple Watch or a shiny set of AirPods. While the pair are undoubtedly some of Apple's best products ever, they still have their own unique shortcomings that the other item can cover. Here's why AirPods are the perfect match for the Apple Watch. Today is the last day to save hundreds on iPads, with prices starting at just $279. Apple Watches are also on sale, with cash discounts on both Series 3 and Series 4 models. Meanwhile, Anker USB-C accessories and Qi wireless chargers are up to 48% off while supplies last. AT&T is preparing to release the "Power Drum," a portable battery pack that is capable of wirelessly charging an iPhone and an Apple Watch at the same time, potentially giving its users some extra power for their Apple devices while on the move. An Austin startup, Fintiv, is suing Apple over a patent covering virtual wallets such as the one core to Apple Pay. Amazon is issuing last minute savings on Apple devices, including the brand-new Apple Watch Series 4. Now as low as $365 with a bonus 5% clippable coupon, this deal represents the lowest price we've seen to date on the new devices. Apple's 2018 iPad is also marked down by $80 with free delivery by Christmas. Apple authorized resellers are issuing last minute deals on hardware and wearables, putting more money back in your pocket. Save hundreds on Apple Watch Series 3 devices thanks to aggressive flash discounts going live throughout the day. Apple's new 2018 Mac mini is also $50 to $60 off with our exclusive coupon (with no sales tax outside NY and NJ). The Apple Heart Study -- conducted by Stanford University in conjunction with Apple -- was the largest ever investigating arrhythmia, with 419,093 participants. Apple may now have as many as 50 medical doctors spread through the company as it continues to build on the health technologies found in the iPhone, Apple Watch, and HealthKit. Are you in Canada and looking for the ECG feature of the Apple Watch? You may be in for a long wait. 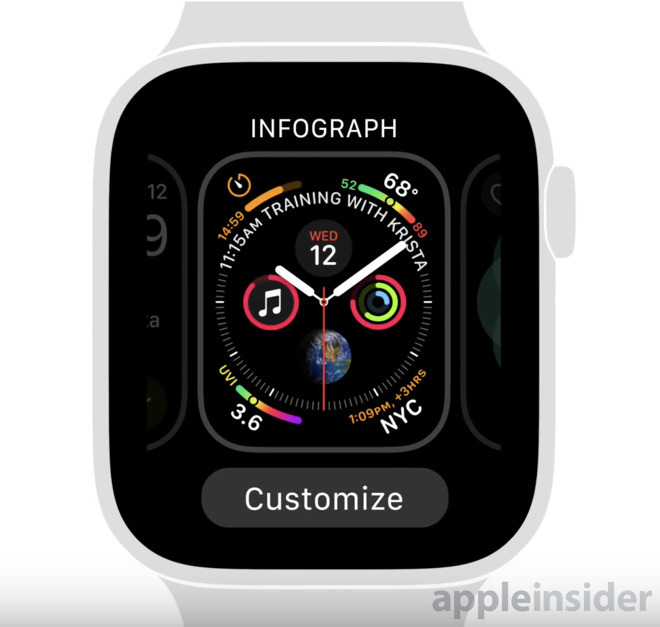 The electrocardiogram function of the Apple Watch Series 4 went live as part of the watchOS 5.1.2 update released on Thursday is already proving its usefulness.